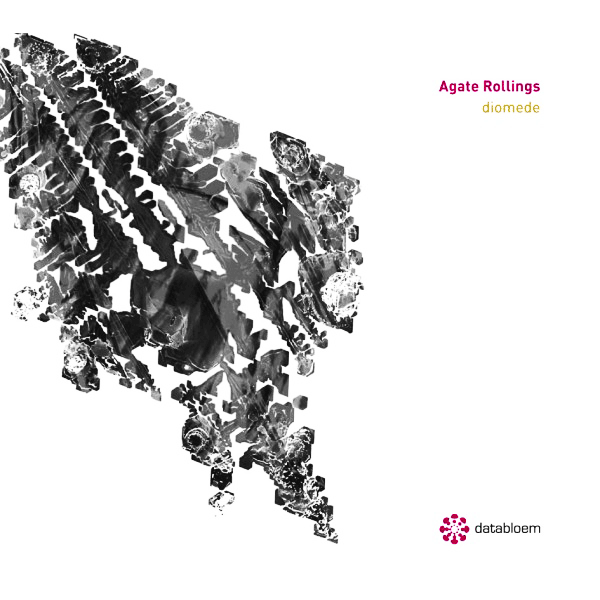 AGATE ROLLINGS DIOMEDE - DATABLOEM 2016 - Bass My Fever - Covering all the "basses"
Con lavori come “Diomede” degli Agate Rollings il recensore rischia di smarrire sempre qualcosa. Non di ometterlo ma di perderlo, pur avendolo recepito. E forse questo aspetto non dispiacerebbe al duo composto da Stefano Gallone e Alessandro Sgarito. “Diomede” è il terzo lavoro degli Agate Rollings ed è al tempo stesso summa, superamento e evoluzione dei precedenti due lavori, riuscendo ad unire melodia e sperimentazione, suggestione e glacialità e naturalmente utilizzando al meglio l'interdisciplinarietà. Sì, perché oltre alla musica “Diomede” porta con sé le immagini (notevoli e dense, di Alessandro Sgarito) e parole (Stefano Gallone, estremamente a proprio agio nella scrittura e non certo alla prima prova) attraverso il libro eponimo che vi consigliamo caldamente di non far mancare accanto al cd. 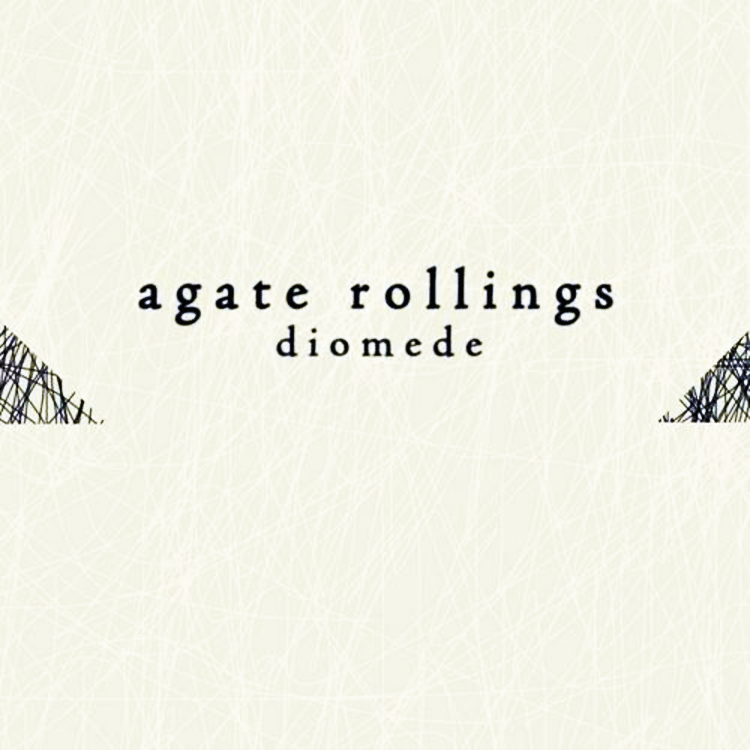 Thanks to peculiar works like “Diomede” signed by the band Agate Rollings, the reviewer is always liable to lose something. It’s not about omitting but about losing something, despite having understood it. And maybe the duo consisting of Stefano Gallone and Alessandro Sgarito wouldn’t mind this point. “Diomede” is the third album of Agate Rollings and it is also simultaneously a summa, an overcoming and an evolution of the previous two works, by combining melody as well as experimentation, suggestion as well as glacial moments and naturally by using interdisciplinarity at best. Yes, that’s because - beyond the music - “Diomede” brings with it all the amazing and dense images of Alessandro Sgarito and the words of Stefano Gallone, who’s highly at his ease in writing, given that this is not his first experience, and both aspects converge on the eponymous book that we advice you not to miss beside the cd. Si potrebbe parlare di concept album, ma in questo caso lontanissimo dagli elfi prog o da moderne contorsioni che nulla più riescono ad aggiungere al già detto; il concept di “Diomede” verte sulla dissoluzione individuale intesa come libertà necessaria attraverso un percorso di “sganciamento” da una realtà opprimente che non può cibare l’individuo come le emozioni. Un disallineamento dal tempo comune e collettivo, un ammutinamento verso le scansioni annunciate, un ripiegamento a rinascere (che è cosa rara). We could define that as a concept album, but it’s far away from a kind of elfi prog or from some modern contortions which nothing can add to what has already been said; the concept of “Diomede” relates to individual disintegration taken to mean a necessary freedom through a path of disconnection from a suffocating reality that isn’t able to nourish a person like the amotions can do. This is about a deviation from the common and collective time period, a mutiny towards the announced frames, a sort of withdrawal to live again (which is a rare thing). Certainly it could be seen as a complex and challenge work, and it is so, by art: and when art can do that, touches the much abused idea of “lightness” that the mainstream denies now and forever, in its outdated reproduction of worn-out fees, phoned emotions and indigestible mixtures of an exportable good sense. In questo – nella musica come nelle immagini e nelle parole - gli Agate Rollings mostrano un coraggio sincero, lontanissimo dal finto stoicismo mediatico di artisti che si dichiarano parte integrante di una nicchia. “Diomede” non chiede facili associazioni o convergenze, richiama l’individuo a un compito ancestrale e inaddomesticabile, utilizzando il suono, la visione, la comprensione. “Diomede” chiede attenzione e offre lo sguardo su una liberazione non più rimandabile: e lo fa nel modo più seducente, attraverso appunto la dissoluzione. In this context – within the music as well as the images and the words – Agate Rollings show a sincere courage, so far away from the false media stoicism of artist who define themselves as an integral part of a niche. “Diomede” doesn’t evoke easy associations or convergences, but makes the individual responsible of an ancestral and not tameable mission, by using the sound, the vision and the comprehension. 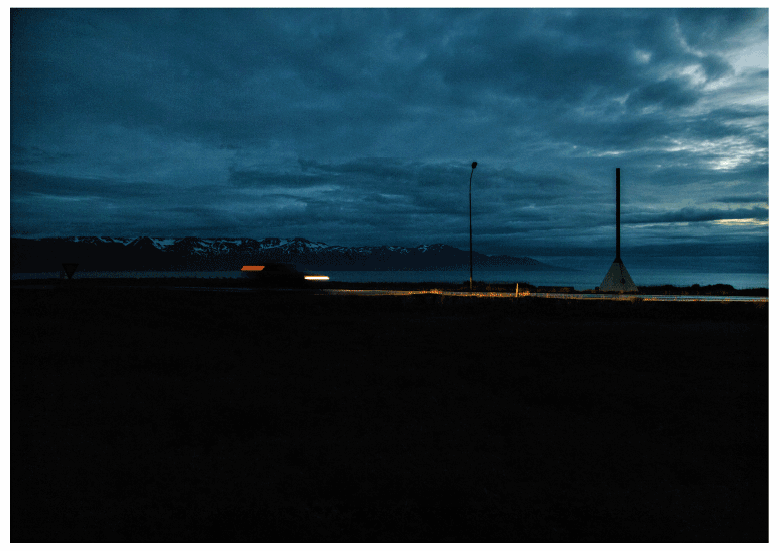 “Diomede” asks for attention and provides a glimpse into a need of redemption which can no longer be put off: and it can do that in the most seductive way, through disintegration. I rimandi sono tanti e tali che le due magiche parole “elettronica” e “ambient” non possono racchiuderli e facilitare una catalogazione ingenerosa. Soffusa ma non compiacente, sofisticata ma non artefatta, frammentata e circolare, notturna, liquida, alternanza mai prevedibile tra oscurità e spazi, densità icastica. Tra Thomas Köner e Eno, con fredde romantiche code del David Sylvian più ambientale (ricordate “Answered prayers”, vero? ), “Diomede” lambisce e scomoda l’idea di ritmo anche senza beat granulari di garanzia, tanto che in certe fasi sembrano riecheggiare le migliori pagine di Echospace e cv313 ma senza l’ostacolo facile del tempo marcato. Gli ascolti di Stefano e Alessandro, che non fatichiamo a immaginare onnivori e disperatissimi, sono in tutta evidenza rielaborati nel loro sound: Arvo Pärt, Pan American, Stars Of The Lid, Boards Of Canada, Steve Reich, Aidan Baker e naturalmente i Tangerine Dream più celestiali. There are so many references that both magic words like “electronic” and “ambient” can’t contain them and make it easier an uncorrected definition. This is a diffused but not accomodating music, sophisticated but not artificial, a fragmented and circular sound, as well as a nocturne and liquid alternation of darkness, spaces and icastic density. Between Thomas Köner and Eno, with cold and romantic reminiscences of the most ambiental David Sylvian (do you remember “Answered prayers”? ), “Diomede” washes around and uses the idea of rhythm even without granular beats of assurance, so much that in certain phases seem to evoke the best pages of Echospace and cv313 but without the easy obstacle of a marked timing. The listenings of Stefano and Alessandro that are assumed to be omnivorous and disperate, are clearly redrafted in their sound: Arvo Pärt, Pan American, Stars Of The Lid, Boards Of Canada, Steve Reich, Aidan Baker and naturally the most heavenly Tangerine Dream. Ma sia chiaro: gli Agate Rollings dimostrano a pieno titolo che la loro cifra è personale, che il loro cammino è frutto di studio, sensibilità ed è inutile nascondere che il respiro non è italiota. Sia detto senza esterofilia bolsa. “Diomede” esce per la label olandese Databloem, che sotto la sua denominazione, al sito www.databloem.com, recita il decisivo inciso “ambient explorations and grooves”. 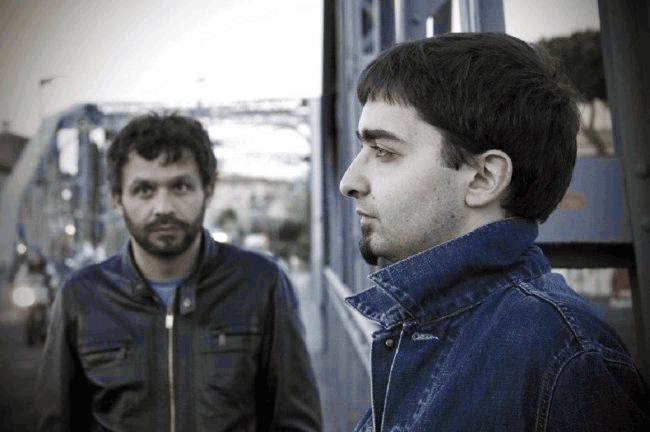 La sfuggente e attrattiva definizione calza a pennello su questo lavoro e sul duo, come per ricordare che astrazione (e dissoluzione) poggiano sul silenzioso sabba del ritmo perpetuo. Compito arduo selezionare i segmenti migliori, considerato che non ci sono cali di tensione. Le nostre preferenze vanno a episodi come “A walk on the bridge of the ship in the fog”, splendida, “I knew it in that fisherman’s shack”, “I painted your name in yellow on the wood”, “The night swimmer”, “2,4 miles” (Robin Guthrie e Harold Budd apprezzerebbero di certo) e “For an upcoming ending”. Da avere e, come direbbe qualcuno, da “introiettare” fino all’episodica e mai calcolabile discesa della notte. But - to be clear - Agate Rollings show in its own right that their style is personal, their path is the outcome of a serious study, sensibility and there is no point hiding the fact that the inspiration is not italian. Let it be said without any weak xenophilia. “Diomede” comes out for the netherlands label Databloem that under the definition available on the website www.databloem.com, states the following words: “esplorations and grooves”. The elusive and attractive definition fits this work and this duo as if to remember that abstraction (and disintegration) are based on the silent sabbat of the perpetual rhythm. It’s a hard task to select the best tracks, given that there aren’t brownouts. 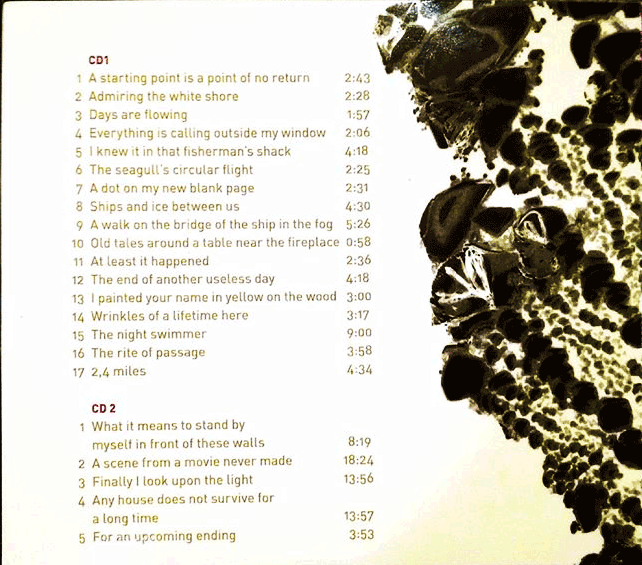 Our preferences go to episodes like the amazing “A walk on the bridge of the ship in the fog”, “I knew it in that fisherman’s shack”, “I painted your name in yellow on the wood”, “The night swimmer”, “2,4 miles” (Robin Guthrie and Harold Budd would surely appreciate it) and “For an upcoming ending”. This is a must-have, and as some would say “an album to internalize” unitil the episodic and ever computable nightfall.